Ciara Clancy (St Brigids), Nicole Kenny (St Brigids), Lucy Ryan (St Brigids), Katie Heelan (St Ailbes), Ciara Ryan (St Ailbes), Sive OâHalloran (Adare), Lauren Ryan (Adare), Noirin Lenihan (Adare), Sinead Callinan (Ahane), Aisling Herbert (Ahane), Eimear Kirby (Knockainey), Maedbh McCarthy (Drom Broadford), Emma Frewen (Ballylanders), Andrea OâSullivan (Ballylanders), Cathy Ambrose (Old Mill), Roisin Ambrose (Old Mill), Lauren Corrigan (Shamrock Gaels), Laura OâShaughnessy (Gerard Griffins), Eileen Scanlan (Gerald Griffins), Aoife Corbett (Monagea), Emma Hogan (Monagea), Caoimhe McMahon (Galbally), Anna Madigan (Murroe Boher), Orla Regan (Murroe Boher), Emma Conway (Mungret), Rachel Fennell (Mungret), Joanne Foley (Mungret), Karin Mason (Mungret), Ciara OâBrien (Mungret), Claire OâMeara (Mungret) and Leah O'Carroll (Mungret). Team Manager: Kevin Boyle, Selectors: Peter Sheehan, Breda Ahern, Breda Corbett, John Holland and Barry OâHalloran. 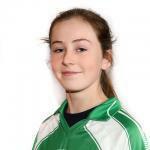 (St Patrickâs) and Stephanie Nunan (St Patricks). Tean Manager: Noel OâRegan. Management Team: Carmel Power, Donal Ryan, John Holland and Eamonn Fitzgerald. Olivia Giltenane(Captain) (Mungret/St Paulâs), Martina Giltenane (Mungret/St Paulâs), Gemma OâDwyer (Oola), Alva Neary (Old Mill), Janet Garvey (Fr Caseyâs), Emma McGuire (St Ailbeâs), Aoife Meaney (Sliabh na mBan), Niamh McCarthy (Drom/Broadford), Clodagh Kirby (Knockainey), Margaret Ryan (St Brigidâs), Rosie Giltenane (Mungret/St Paulâs), Kathryn Fahy (Monaleen), Kate Fitzgerald (Gerald Griffins), Grainne Kennedy (St Brigidâs), Caroline Hickey (St Ailbeâs), Stephanie Carroll (St Ailbes), Megan Kelliher (Knockainey), Lisa Hartnett (Fr Caseyâs), Yvette Moynihan (Mungret/St Paulâs), Michelle Norris (Monaleen), Mai Kennelly (Old Mill), Claire O Riordan (Monagea), Kristina Hennessy (Monagea), Orlaith OâDonoghue (St Brigidâs), Siobhan Moloney (Oola), Megan OâShea (St Brigidâs), Triona OâDonnell (Ballylanders), Niamh Richardson (Monaleen), Marie Curtin (Mungret/St Pauls), Megan OâMeara (Monaleen), Kate McSweeney (Adare) and Louise Ryan (St Brigidâs). Manager: Andrew Meaney. Selectors: DJ Collins and Mike Kennedy, Fitness Coach: Jackie Doherty and Physio: Clodagh Toomey.